As a second-generation family-owned business, we at Jerry Lambert Automotive completely understand the desire to mix modern luxury and performance with a classic feel. After all, we’ve taken what was once a full-service gas station and turned it into one of the top auto shops in all of Salt Lake City – all without losing the personalized touch and service that maintains our A+ Better Business Bureau rating. 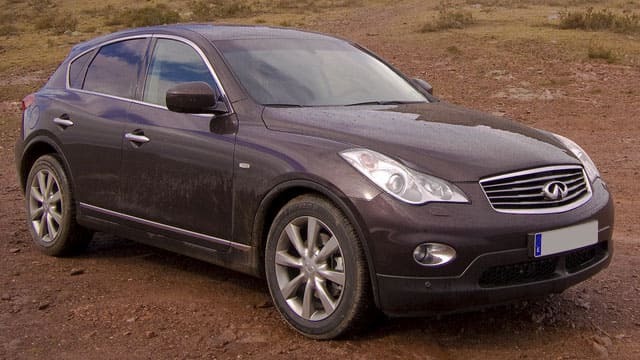 And with this combination in mind, who better to take advantage of our services than Infiniti owners? This vehicle brand, which brings a wonderful combination of classic luxury with modern performance, requires a mechanic that has this same discerning approach, and that’s what you’ll get with us. Our technicians service every model of Infiniti, from the G to the Q60, Q50, QX50, QX60 and even the entire IPL series. They do so using years of experience and a full ASE certification, which we require among all our vehicle service staff. Worried about the location of your auto shop? Worry no more with Jerry Lambert Automotive. Our centralized location is perfect for residents of a variety of greater Salt Lake City areas, including Draper, South Salt Lake, Riverton and more. You never have to worry about being too far away or how you’ll get your vehicle in. And once you’re here, as all our previous customers can tell you, you’re family. Our friendly service staff will greet you and keep you comfortable while our mechanics work on your Infiniti, plus will help communicate with your technicians so you’re always up to speed on what’s being done to your vehicle. This level of transparency and quality service are what keep our customers happy, and what help us maintain our A+ rating with the Better Business Bureau year in and year out. So don’t wait if your Infiniti or any other vehicle is in need of expert service in Salt Lake City or the surrounding areas. Call us today at Jerry Lambert Automotive to schedule an appointment, or visit us at our convenient 3300 South location.